Search Engine Optimization (SEO) is the process by which content on a website is enhanced in order to yield greater web traffic. Google and other search engines use complicated and constantly changing algorithms to determine what searches lead to what websites. Factors such as relevancy, popularity, credibility, and freshness work in conjunction with many others to deliver the best results for each individual search. Anybody who seeks to maintain validity and success with their website must learn how to optimize their content for the search engines. If Search Engine Optimization is executed well, then a website receives better traffic results. As an added bonus, Search Engine Optimization makes content more accessible and more appealing to potential customers and clients, or just people who are passing through. Search Engine Optimization appeases all three parties involved in the search process. For Website owners or managers content ranks higher with search engine algorithms and yields larger results. For Search Engines, content is easier to quantify and run through the search engine system. For people using the search engines and being directed towards the website, content is easier to read, is more appealing, and is likelier to satisfy the reason for their inquiry via the search engine. However, Search Engine Optimization is not a one and done deal. Just because a website or a particular piece of content was up to par when it was initially published, doesn’t mean that it still holds up to modern Search Engine Optimization standards as well. The fact of the matter is that all three parties involved in a search; the Website, the Search Engine, and the person searching, are all constantly changing. Websites are upgrading to new formats, adding new features, and constantly injecting new content into the dataspace. Search Engines are incessantly refining algorithms, tweaking design and ease of use for their searchers, and updating the standards by which they evaluate content. The layman, or people using the search engines, are constantly changing what they are searching for. A single searcher may have dozens of searches in a single day and the search engines are responsible with connecting them to the appropriate and relevant websites in a timely manner. If you notice a downturn in web traffic or a downturn in results, it may be because your content is optimized for out of date algorithms or may be catering to parameters that are no longer in play. 2019 will see the rolling out and implementation of more advanced and continuing updates. If you are not prepared to update your website for these changes or to roll out new content with these changes in mind, then you may notice fewer or less than favorable results. But don’t worry, this blog post will give you all of the information you need to keep your website up to date and ahead of the competition. Below you will find detailed insights into the updates you can expect in 2019, how these updates may affect your website, and how you can improve your website to keep ahead of the competition. As websites and content becomes more and more advanced, the standards of Search Engine Optimization have changed repeatedly, and 2019 is no exception. Google is moving forward with a mobile-first policy on their search engines. Since first overtaking desktops and laptops in terms of internet and website usage in 2016, mobile phones have continued to rise as the dominant access point to the internet for millions of people. As such, Google has decided to continue moving forward with a mobile-first indexing policy. What does this mean for you? It means that Google is prioritizing their search results based on the quality of the mobile site. This is a big change in tradition, as the desktop version of the site is typically what Google bases their calculations on. For the business owner or website manager, this means that the mobile version of the website needs to be top priority. This doesn’t mean that the desktop version of the website becomes irrelevant. It is still important to maintain a quality desktop site. Just because mobile phones have overtaken desktop traffic, doesn’t mean that desktop traffic is lesser or irrelevant. However, it is becoming increasingly important for mobile sites to be maintained to the highest quality. This means that mobile sites need to be a priority, whereas many websites in the past have treated mobile-sites as an afterthought. Many companies and websites have suffered because of this, because it displays a lack of connectivity and relation to the modern world. It is important to keep your website top quality. This applies to both the mobile and the desktop version of your website. Above all, your site needs to be somewhere that people can find the information and/or services they are looking for in a fast and convenient manner. There are several key things you can do to ensure and improve upon site quality. First, ensure that your content is relevant to your business and your websites mission. In other words, why did you create and why are you continuing to maintain a website? Does the content that you create and deliver via your website reflect these initial ideals? For example, if you operate a business, are the articles, services, and opinions presented on your site in line with the businesses’ products, services, and mission? If not, then you may need to consider either adding additional relevant content or taking away content that does not fit within the parameters above. Second, make sure that your website is easy to navigate and that it is fast. The first step in doing this is making sure that your content, menus, and home page are easy to navigate. If content is not organized well enough, then visitors to your website may have difficulty finding what they are looking for and turn to other sites. The best way to organize your content is to group it by categories and to use different menus to navigate certain areas of your site. This is where the homepage becomes extremely important. Your home page is the first impression of your website for most viewers. If they click on your website and are presented with an outdated appearance, a clear lack of organization, or irrelevant content, then they are unlikely to browse the rest of your website, even if it contains exactly what they are searching for. 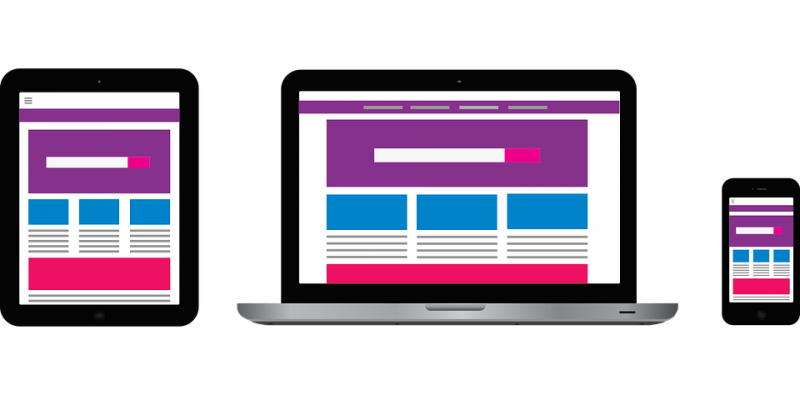 There are several steps you can take to ensure that your home page is appealing and accessible to new visitors. Keeping your website’s software and back-end up to date can save you countless headaches down the road. While adjusting to new back-end services and keeping the overall site in line with back-end changes can be time consuming upfront, the benefits outweigh the adjustment costs exponentially. We live in a world where technology is constantly upgrading and improving, and it is doing so far more frequently than it did in the older generations. When people are directed to your page via a search engine, outdated appearances send them an immediate red flag. If a website looks like it was designed ten years ago, then why trust the content that is being presented. Your audience may be turned off from your content and services if you present them with an initial impression lesser than what they were expecting. Back-end and software updates aren’t just about appearances. These updates can come in many forms and functions. While some keep the website’s appearance sleek and modern, others improve the sites capabilities or core functions, while others keep the website secure. When you keep appearances up to date, you attract both the attention of the search engines and the searches. Search engines know that they can rely more on the information from an up to date website than an out of date one, and visitors will pick up on this visually as soon as the Home Page loads. When the site’s capabilities and functions are up to date, this also alerts search engines that the page is relevant and fresh and is less likely to display incorrect or out of date results. The Home Page should not only be attractive and appealing to visitors, but it should be an organized and easy to use hub for the content on your site. Menus should be well organized and easy to navigate, giving website visitors near instantaneous access to the information and/or services they are seeking. However, it is important not to overdo it with menus on the site’s Home Page. While these menus may be beneficial in searching for content, they can clutter the Home Page and lend a sense of disorganization to the website. It is better to have a primary menu, or at least link buttons, for the major sections of your website from the home page. Sub-menus are also a great option and can be utilized either via the main menu or from sub-menus on each page from the main menu. Is your website running slow? Does it take a longer than a normal amount of time to load different pages, articles, or links on your site? If so, you may be in danger of losing with the updated standards of Search Engine Optimization. Your website may need a tune up or an upgrade if you hope to keep your visitors satisfied with what they are finding. The longer a webpage on your site takes to load, the less engaged and less satisfied visitors are with what you have to offer. Whether it is a product, service, article, video, or game; internet users want things to load quickly and to be accessible to them as fast as possible. This is especially pertinent when considering the amount of web traffic that comes from mobile users. Remember, this percentage now succeeds the amount of web traffic that comes from desktops or laptops. When someone searches on their phone, they want quick results. Major search engines such as Google typically provide these results within milliseconds. With Google delivering search results that quickly, users want the links that Google provides them to open nearly as fast, and Google factors that speed into their queries as well. If your website is outdated or running slowly, visitors will turn to another source and your Google rankings may be hurt in the process. Thankfully, there are a multitude of online services that will test your website’s speeds and offer recommendations on how to improve the results it gives you. Even if your website’s speeds haven’t slowed down, others’ may have sped up. If your competitors are improving their website speeds, that means that your site is falling behind. When they speed up, you become slow by comparison. Make sure that you are tracking your speeds on a regularly basis and that you are improving the site structure or site software as needed to keep up with the competition. Technology, specifically in accordance with the internet, has come a long way in the past decade. Ten years ago, few people had smartphones, now more people have and use smartphones than they do computers. Not only are these devices becoming more numerous, but they are becoming more advanced in the process. Items such as smart watches, Alexa’s, Google Home systems, smart lights, and many other products are all evolving to work in relation to the ever-expanding capabilities of the internet. As these devices become more connected and more central to how we use the internet, the standards of search engine optimization will change yet again. Last year, Google unveiled a first look at Google-Duplex, a voice assistant so advanced that it was able to find a barber and schedule a haircut for the user. As devices such as this become more common place, websites and businesses will have to evolve their content in order to match the ever advancing and ever-changing standards of Search Engine Optimization. For further tips about what you should know about SEO Updates in 2019 and how they apply to you, check back next week to see the application of these changes to your business. Learn more about how our SEO services can improve the search visibility of your business.